[News] B1A4 releases full tracklist for "IGNITION"
Fans are more than ready for their favorite rookie group B1A4 to return as full-fledged sophomores of the K-pop industry. After revealing their individual teaser photos, the group has unveiled the full tracklist for their upcoming first full length album "IGNITION". "IGNITION" consists of 11 tracks, including the title track "Baby I'm Sorry" and the pre-released track "This Time Is Over". The album also include the solo track "Crush" by Sandeul and the collaboration "We're Alone" with rapper Baro and miss A's Min. B1A4's new album is set to be released on March 14th, while physical releases will be shipped starting March 19th. It includes a 68-page photo album, as well as a 60-page MV making booklet. Meanwhile, B1A4 will give their comeback performance this week starting on Mnet's "M! Countdown". 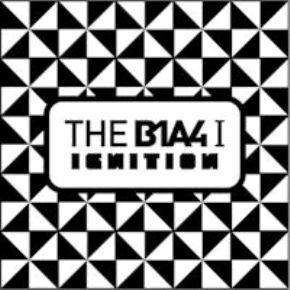 After a very successful 2011, releasing two mini albums and various singles, B1A4 is ready to capture fans' heart with their new album "IGNITION".